Today is Ash Wednesday, the beginning of the Lent Season. Today we begin a journey of reflection and sacrifice, mourning and celebration, abstinence and engagement. We set aside this season of Lent as a time of remembering the sacrifice of Christ, and in turn committing to sacrifice as well, following in His steps. We practice spiritual disciplines, not as a way to gain God's favor and holiness, but as a way to mourn our sinfulness, lest we take for granted the gift of grace through salvation in Christ. Today, if we participate in an Ash Wednesday service, we will receive ashes on our foreheads in the shape of a cross to remind us that there, on the cross, Jesus paid the price for our sin to redeem us. "Ash Wednesday also initiates a season of acknowledging our sinfulness. In very intentional ways, we invite God to search us and know us and (eventually) to lead us into resurrection life. 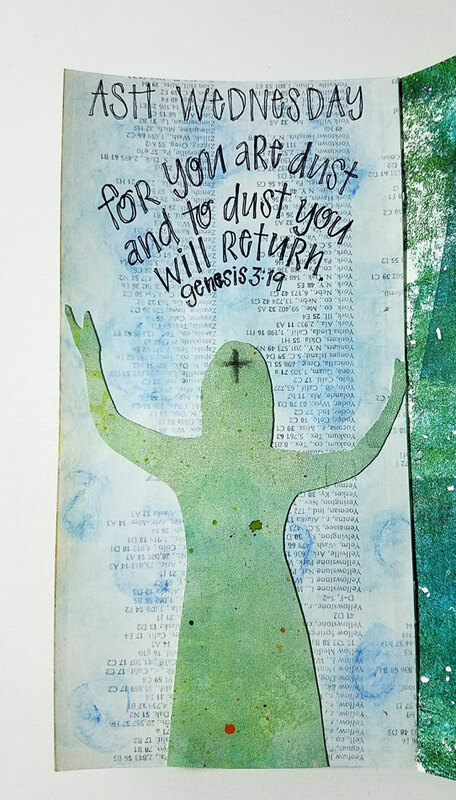 The ashes marking our foreheads carry the same meaning contained in the Old Testament practice of covering oneself with ashes: they are an outward sign of an inward repentance and mourning as we become aware of our sin. This, too, is good for us because we live in so much denial. Facing our sin in the shadow of Christ’s cross and impending resurrection is the healthiest way to deal with our sin. The inner dynamics of Lent have to do with fasting or abstaining from the ways we normally distract ourselves from what’s really going on in our lives spiritually—the reality of our sin and the deeply patterned behaviors that keep us from our calling to follow Christ. We allow some of the external trappings of our lives to be stripped away so that we can find our true identity and calling in God once again. We acknowledge the subtle temptations to which we are prone rather than pretending we are beyond temptation. We face the spiritual reality of the battle being waged for our very souls." I have not participated in the Lent practice of fasting or self-denial in the past. But this year as I have prayed and looked at what God's Spirit has been pressing into in my life, I decided to participate by engaging in some practices that in so doing are actually a practice in abstinence. Over the past year God has enabled me to experience some healing in some areas of my life. Emotional and relational areas that became damaged as a result of my not dealing well with loss and disappointment over a period of time. As is often the case, when you become healthier in one area it opens your eyes to other areas that need restoration. For me, I have become aware of a lack of loving others well in some areas of my life. I wrote the other day about how spending some time studying Hebrews 12:1-3 opened my eyes to the reality that being "weighed down and entangled" keeps me from living in the flow (my word for the year) of the Spirit. How I react to people and not loving others well is something that weighs me down. So, for this Lent season I am going to try to abstain from the feelings and habits that get in the way of loving others. I'm going to engage in kindness and extend grace and forgiveness in those times when I feel inclined to have my way or feel defensive or the need to be right. I'm going to be asking myself questions like, what do I need to give up to be more loving and what do I need to practice? I have not totally figured out what this looks like or even what to call it, but I feel the need to practice it. To deny myself in those times when ego or pride want to have their way and instead to practice humility and kindness. So, how are you practicing sacrifice in this season of Lent? Are you participating in Lent in any way this year? 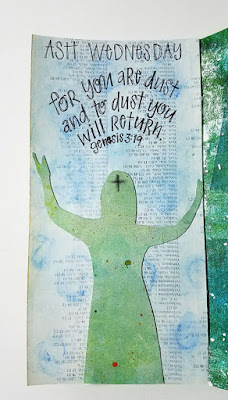 Here on my blog I'll be posting a few devotional writings/Bible studies each week surrounding Lent words. 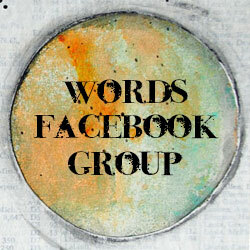 I have also invited some fellow sojourners to write guest posts in the weeks ahead. On this post from last week you'll find a list of 40 words with corresponding Bible verses or passages. We have a group of people who are responding creatively to these Lent Words for 2018. They will be sharing their responses in a private Facebook group or on Instagram.